Hanzo, Junkrat, and Roadhog are three of many characters set to receive Legendary skins. Overwatch's Winter Wonderland seasonal event returns December 12, bringing with it old and new holiday-themed character skins as well as a new Brawl, Mei's Yeti Hunt. In the above developer update, game director Jeff Kaplan teased a few heroes that would be receiving new Legendary skins: "two of our favorite junkers," also known as Junkrat and Roadhog, as well as Hanzo, who will be receiving an outfit that has been previously seen in one of Overwatch's comics. The holiday brawl from last year, Mei's Snowball Offensive, will be back this year—both on Ecopoint Antarctica and now Black Forest as well. A new holiday brawl is also on deck: Mei's Yeti Hunt. This new mode will pit five Mei players against a single overpowered Winston (no doubt sporting his Yeti skin). In the mode, which takes place on the Nepal map, the Mei players will start out hunting Winston while he tries to evade them and track down stacks of meat. Once Winston has enough meat, his Primal Rage ultimate will activate, sending him into a monstrous fury. At that point, the Mei players' sole objective is to run away and survive. We expect to get a glimpse of more skins leading up to the event next week. 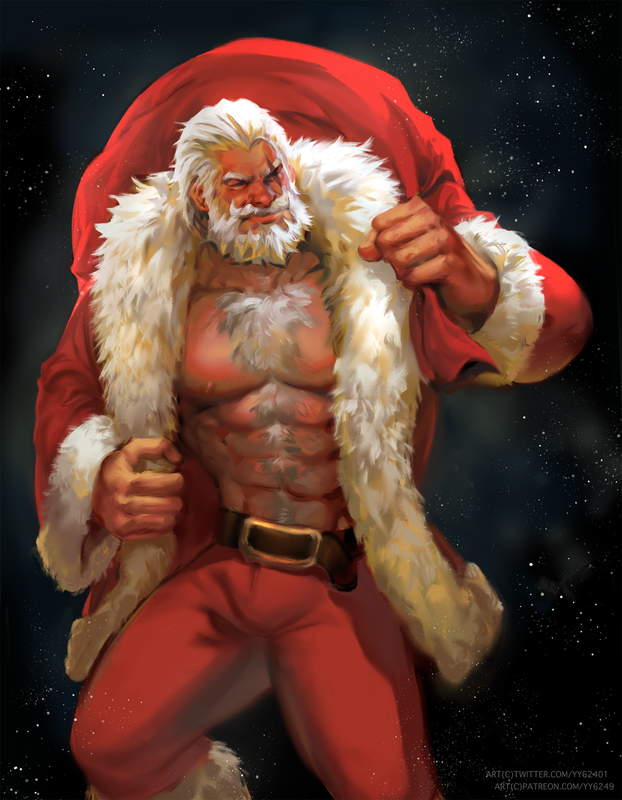 Personally, I'm hoping for this Santa Reinhardt outfit that's been making the rounds.